Star Wars: Episode IX is about to shoot, and LucasFilm has wowed us with casting info for the film – including the return of Carrie Fisher! 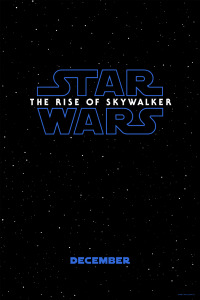 Along with that info is a statement that the film will be the “conclusion” of the entire Skywalker Saga. 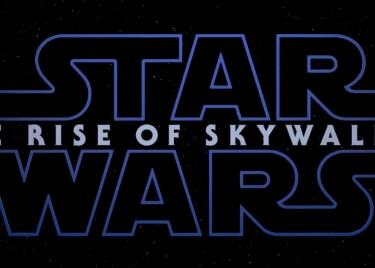 Filming is due to begin on August 1 at Pinewood Studios, with J.J. Abrams returning as director, to bring a close to the story he began in The Force Awakens. Episode IX is faced with a tragic challenge following Carrie Fisher’s death in December 2016. LucasFilm had intended this chapter as Fisher’s moment to shine, with The Force Awakens focusing on Harrison Ford’s Han Solo, and The Last Jedi on Mark Hamill’s Luke Skywalker. Bringing an end to a saga that’s been told over the last 50 years was going to be difficult enough. Doing so without one of the principal cast members, and in a way that truly honors her memory, is even harder. Fortunately, J.J. Abrams has hit upon the solution. There were ideas to rewrite The Last Jedi in order to allow Leia to exit the film partway through, but in the end all involved wanted Fisher’s last performance to be seen as originally intended. Doing so made matters difficult for Abrams, since The Last Jedi set the Resistance leader up for a major role in the next film. Abrams has a smart solution. As writer/director of The Force Awakens, he knows there’s a lot of unused footage of Fisher from that film. In fact, a major plot was actually cut from The Force Awakens, involving a Resistance super-weapon deployed against Starkiller Base. It seems he intends to use that previously-cut footage in order to complete Leia’s Star Wars story. Ironically, only J.J. Abrams could really make this work. Every director has their own signature style, and as the man behind both The Force Awakens and Episode IX, he should be able to ensure this is seamless. Lucasfilm has also revealed that veteran Star Wars actors Mark Hamill and Anthony Daniels will return. Presumably, Luke will appear as a Force Ghost. 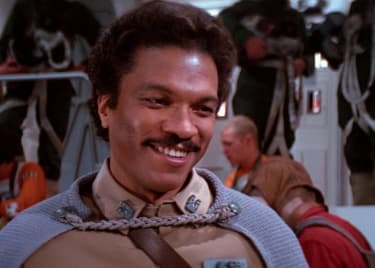 And the company confirmed that Billy Dee Williams will appear as Lando as well. There’s also handful of new cast members. LucasFilm names Naomi Ackie, an actress best known for her appearances in Lady MacBeth and The Five, and award-winning actor Richard E. Grant (The Hitman’s Bodyguard, Logan, Jackie). Although she wasn’t originally named in the press release, Lucasfilm swiftly amended it to confirm that Keri Russell (The Americans, Dawn of the Planet of the Apes) would also appear. Naturally, the studio revealed nothing about their characters. 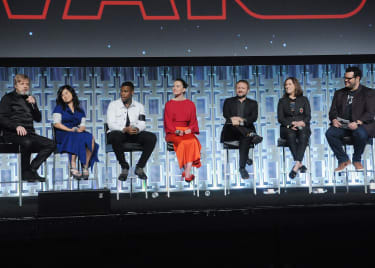 Returning cast members include Daisy Ridley, Adam Driver, John Boyega, Oscar Isaac, Lupita Nyong’o, Domhnall Gleeson, Kelly Marie Tran, Joonas Suotamo, and Billie Lourd. It’s particularly moving to see that Lourd will be back as Kaydel Ko Connix, a lieutenant in the Resistance who supported Poe Dameron’s rebellion in The Last Jedi. Lourd, of course, is Carrie Fisher’s daughter. Her involvement at the end of the entire Skywalker Saga feels like another powerful statement of respect to the late, great Carrie Fisher.